If you’re in Pakistan but you either live in the UK or you’ve lived in the UK then you’re likely missing British TV. It’s difficult to watch UK TV in Pakistan which is why I’ve put together this simple guide to show you how you can do just that. So if you want to watch British TV in Pakistan then this is the guide for you. In this guide I’m going to show you how by using a simple app known as a ‘VPN‘ you can access and watch UK TV in Pakistan and across the world, all outside the UK. A VPN lets you disguise your location so you’ll look like you’re in the UK even though you’re really in Pakistan. This will allow you to access and watch all the UK TV services online in Pakistan. Read on to find out how easy it is. To watch UK TV in Pakistan you need to get yourself a VPN service. There are hundreds of companies who offer them but not all work with UK TV services. You need to choose one of the three above providers to watch UK TV in Pakistan. The VPN service will let you disguise your location so it appears as if you’re in the UK even though you’re really in Pakistan. 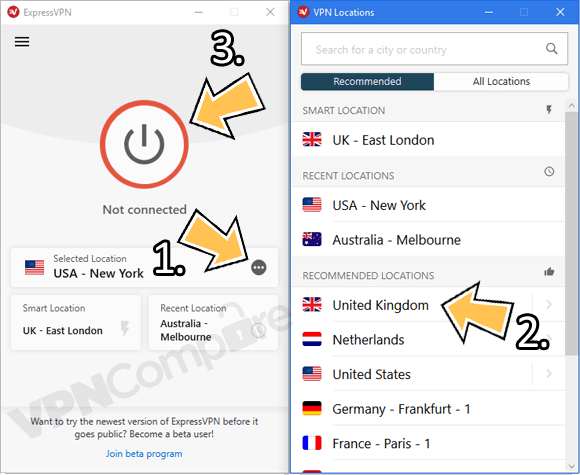 Once you’ve chosen one of the providers above and signed up for their service follow the steps below for a guide on how to use the VPN to watch in Pakistan. Now you’ve signed up to one of the VPN providers above you’ll need to download their app which will let you watch UK TV. They all work with Android, iOS, Windows and Mac OS devices and ExpressVPN also works with the Amazon Fire TV Stick. Follow the steps below to get started. In the example below I’m using ExpressVPN but the process is much the same with the other providers too. Visit the ExpressVPN website and sign up for their service. Then go to the ‘Products’ section of their website and download the correct app for your device. Open the app and either login or active it when required. Then press United Kingdom (2). Press Connect (3) if the app doesn’t automatically connect for you. 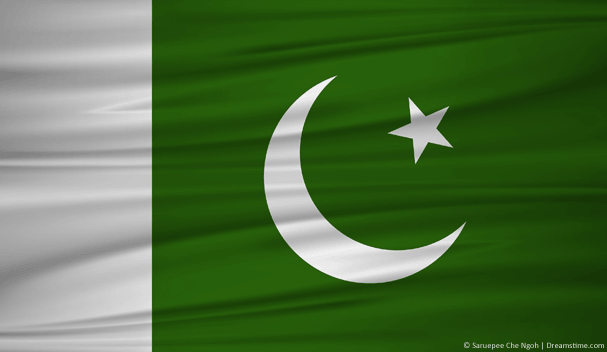 Watch UK TV in Pakistan with ExpressVPN. It will take about 15 – 30 seconds for the ExpressVPN app to get connected. Once it’s connected any websites you visit or apps you use will think you’re in the UK. Now it’s simply a case of visiting any of the UK TV streaming websites like BBC iPlayer, ITV Hub etc. You can also use the apps on your mobile or tablet device for BBC, ITV and all the other UK services. Rather than being blocked like you would have before you’ll now be able to watch UK TV in Pakistan. Does this work with mobile devices? It’s easiest to watch on a regular computer or laptop because you don’t need additional apps for each individual TV service. However, if you want to watch on a mobile or tablet device then this is certainly possible. To do this you’ll need a VPN service from ExpressVPN as detailed above. Once you’ve signed up you can download their app from your regular app store. You’ll also need the UK TV app for the service or services you want to watch. For example if you want to watch BBC iPlayer then you’ll need the BBC iPlayer app for either your phone or tablet. If you’ve already got them, great. If you’ve got a device you purchased in the UK then you should be able to download them directly from the app store. If you bought your device in Pakistan or outside the UK you’ll need to use a site like APK Pure for Android or consult this guide for Apple iOS on how to install the apps outside their intended country. Can I watch on an Amazon Fire TV Stick? Yes, if you’ve taken an Amazon Fire TV or Fire TV Stick from the UK to Pakistan then you’ll also be able to watch UK TV there on it. You’ll need to sign up for ExpressVPN in this case because they’re the only provider I recommend that has an Amazon app. When you’ve signed up for ExpressVPN use the search feature on your Fire TV Stick and search for ‘ExpressVPN’. Install the app, open it and then login. Connect to the UK the same as in the steps above. You’ll then be able to use any of the UK TV apps such as BBC iPlayer, ITV Hub, TV Player and more. What UK TV can I watch? Watching UK TV in Pakistan is actually really easy. To do this you’ll need to get a VPN service. I recommend using ExpressVPN because they’re incredibly easy to use and they work with more TV services than most. They’ve currently got a 30-day money back guarantee so if you get stuck you can simply get a refund. It’s also definitely worth taking their 12-month package because they give you 3-months totally free making it nearly 50% cheaper than paying monthly. Click the button below to visit the ExpressVPN website and sign up for their service. Once you’ve signed up download their app and connect to the UK. You can now watch any UK TV service in Pakistan or anywhere else in the world. What do you most want to watch in Pakistan from UK TV? I would love to know so why not spare a few minutes and post in the comments section below.